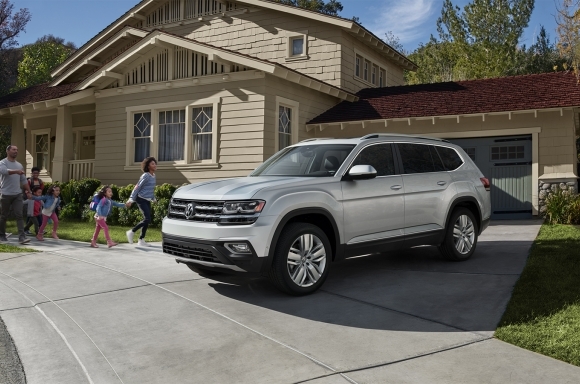 The Volkswagen Atlas is the largest and most versatile vehicle in the Volkswagen lineup. It also comes with a variety of flexible seating arrangements and a suite of comprehensive safety features, making it one of the most popular family picks in the Crown Point, Hobart, and Valparaiso areas. 1. Which Volkswagen Atlas Trim Level is the Best? The Volkswagen Atlas comes in 8 trim levels: The Volkswagen Atlas S, the Volkswagen Atlas V6 S, the Volkswagen V6 SE, the Volkswagen V6 SE with Tech, the Volkswagen SE with Tech R-Line, the Volkswagen V6 SEL, the Volkswagen V6 SEL R-Line, and the Volkswagen V6 SEL Premium (the majority of these also come with an AWD trim). At it's base trim (the S), drivers can enjoy a 2L Turbo engine, and up to 235 horsepower. 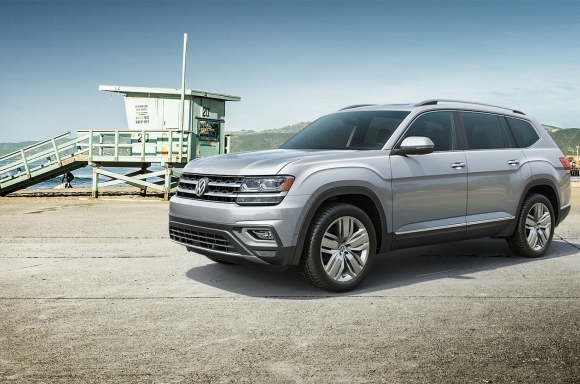 At the Premium level, the Volkswagen Atlas comes with a 3.6L V6 engine that can deliver up to 276 horsepower, and comes with a virtual cockpit, overhead view camera, and more. If added strength and performance features are important to you, consider the latter trim levels, but if your main concern is with space and function, the lower trim levels should still meet your needs. 2. Can the Volkswagen Atlas Go Off-Road? When equipped with available 20" black triple 5-spoke alloy wheels and iconic Volkswagen 4MOTION all-wheel drive, any Volkswagen Atlas trim level in the lineup should be able to take you off-road without complaint. The Atlas also comes standard with 4 driving modes (with 4MOTION) so drivers can easily toggle between dry terrain, rainy conditions, snowy weather, and rough landscapes to make off-road driving even more comfortable and seamless. 3. Does the Volkswagen Atlas Have Apple CarPlay? In addition to the virtual cockpit, the Volkswagen Atlas also comes with a standard 6.5-inch center dash touchscreen with App-Connect to accommodate both Apple CarPlay and Android Auto. These pairings go well with the available 480-watt Fender Premium Audio System on-board for an unparalleled driving experience. 4. How Many Seats Does the Volkswagen Atlas Have? The Volkswagen Atlas is the only 3 row SUV in the Volkswagen lineup and can accommodate up to 7 passengers or nearly 97 cubic feet of cargo space with the back row down. Soft materials, ample leg room, and Climatronic 3-zone climate control make the Volkswagen Atlas one of the most comfortable vehicle interiors you will come across. 5. Does the Volkswagen Atlas Have All Wheel Drive? Unless you specifically opt for it, only select trim levels of the Volkswagen Atlas come with All Wheel Drive. These models include the Volkswagen Atlas V6S with 4MOTION, the Volkswagen Atlas V6 SE with 4MOTION, the Volkswagen Atlas V6 SE with Tech with 4MOTION, the Volkswagen Atlas V6 SE with Tech R-Line with 4MOTION, the Volkswagen Atlas V6 SEL with 4MOTION, the Volkswagen Atlas V6 SEL R-Line with 4MOTION, and the Volkswagen Atlas V6 SEL Premium with 4MOTION. Other models include the still capable Volkswagen FWD. 6. How Much Does the Volkswagen Atlas Cost? Depending on the trim level you choose or any added features, accessories, or warranties, your Volkswagen Atlas could range in price. At Team Volkswagen, we also offer a number of new vehicle special pricing, and a variety of incentives including Military Offers, College Grad Offers, and more to help make your Atlas more affordable. To find the best deals or to inquire about specific pricing, please reach out to our sales team. If you have any other questions that you don't see answered here--either about Volkswagen Atlas features, pricing, financing, servicing, or more, please get in touch with our sales team directly at (888) 824-9154. Still Have Questions Around the VW Atlas? We Can Help!